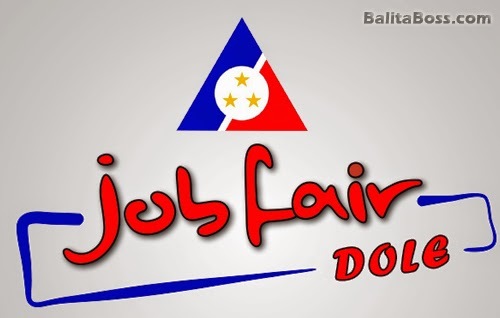 Schedule and venues of DOLE job fairs (January, February and March 2015) - Balita Boss! Department of Labor and Employment (DOLE) Secretary Rosalinda Dimapils-Baldoz announced recently the job fairs during the first quarter of 2015 (January, February and March). According to Sec. Baldoz, 2015 will be a good year for job seekers to find decent and productive jobs if only they will take effort to qualify for the vacancies that abound in the market. "As we enter the last 18 months of the Aquino III administration, we at the DOLE commit ourselves to more hard work of facilitating the employment of our workers through our various programs and strategies," said Baldoz (via gov.ph). Last year, a total of 2,018 job fairs were conducted with at least 761 thousand applicants vying for 4.6 million vacancies being offered by 31,823 registered employers. A total of 134,581 applicants were hired-on-the-spot (HOTS), Sec. Baldoz added. Region XIII—29 January, Job Fair, Cabadbaran Gymnasium, Cabadbaran City; 31 January, Job Fair, AMA Computer Learning Center-Butuan, Butuan City. Region XIII—28 February, Job Fair, Caraga State University Job Fair, FSUU Gymnasium, Butuan City. Region XIII—18 March, Job Fair, SJIT Compound. The tentative fair schedules are available at the Phil-JobNet link of the Bureau of Local Employment at phil-jobnet.dole.gov.ph.